Game & Movie Releases for the week of March 31st to April 6th, 2018. 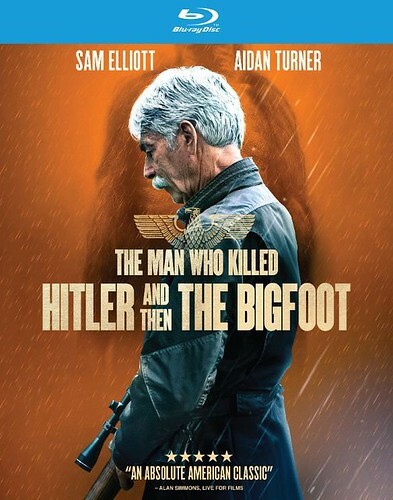 The Man who Killed Hitler and then the Bigfoot is great stuff. Emotional and fun, Sam Elliott just brings it to life. I think my daughter and I are going to head out to see Shazam on Friday. It’s probably more of a kids movie than we really want to watch, but I’ve got two free passes for the theater just burning a hole in my pocket and Avengers doesn’t come out for like 3 more weeks. Hellboy is next weekend, but my Dad is going to want to get our “regular” seats so I will use the Fandango App to reserve our spots in advance. I think Avengers is the weekend after Hellboy. Or two weeks later.